Monument Crisis Center staff shown with a new water cooler, funded by a HAB45 mini grant! When Healthy and Active Before 5 announced our policy agenda to promote environmental change within local organizations, Monument Crisis Center was the first of our Leadership Council members to jump aboard. Monument Crisis Center is a community organization that provides food, education and assistance to residents of the Monument Corridor in Concord, CA. With a motto “No one should go hungry” they make a special effort to serve healthy foods to clients, even in times of crisis. Establishing an innovative Fruit of the Day program, in support of Healthy and Active Before 5’s action plan , by increasing the availability and demand for healthy foods. We would like to congratulate the Monument Crisis Center for their dedication to modeling healthy behaviors to their clients and young children. The Monument Crisis Center received a Healthy and Active Before 5’s mini-grant, a $500 award to support groups that adopt new organizational policies. 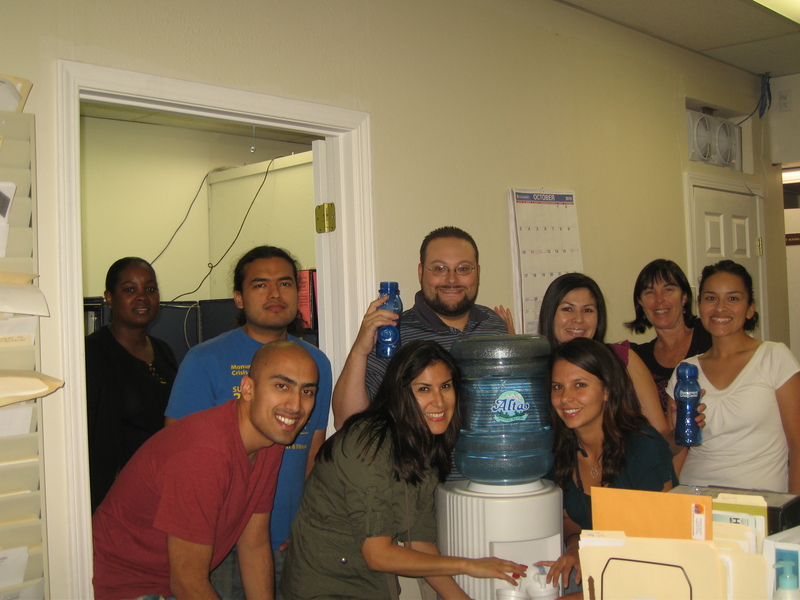 The money was used to purchase a water cooler for the agency. If you are interested in adopting your own organizational policy and would like to apply for the Healthy and Active Before 5 mini-grant (deadline extended to Dec. 15th) visit our “Policy Agenda” page. food access, partners, policy, success, Summit 2010 Concord, food access, HAB45 Policy Agenda, mini-grants, Monument Corridor, Monument Crisis Center, no soda, water. permalink.